Create memorable experiences and increase your branding impressions with these tartan picnic rugs. Grab a bottle of wine, some snacks and head towards your favourite picnic spot with these picnic blankets in hand. 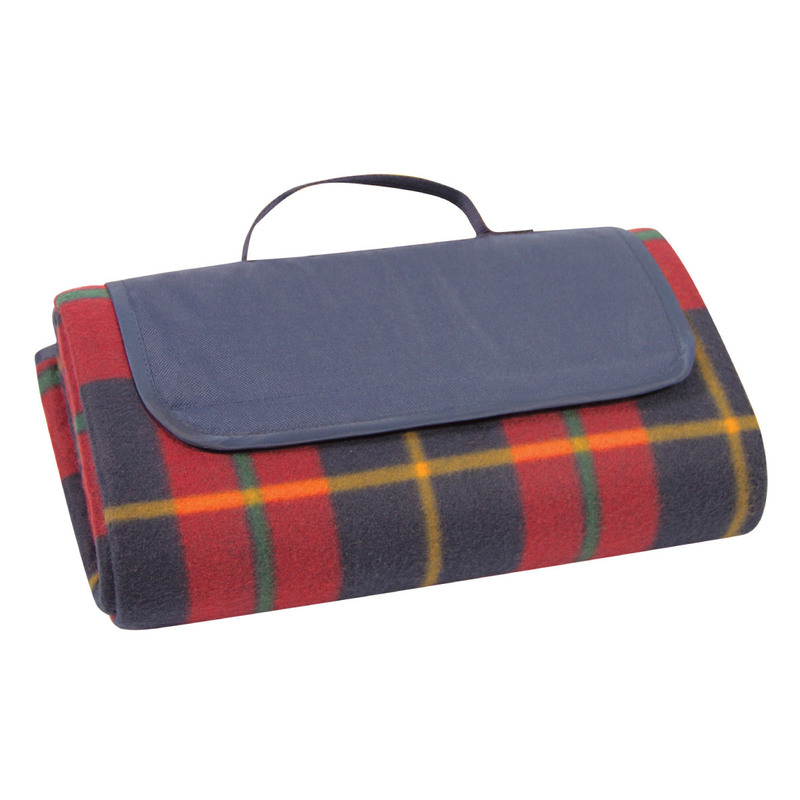 These red tartan picnic rugs have the much loved look with a contrasting blue 600D nylon flap for branding and a PVC backing and carry handle. These are great as a promotional gift to staff, clients or as a gift with purchase.